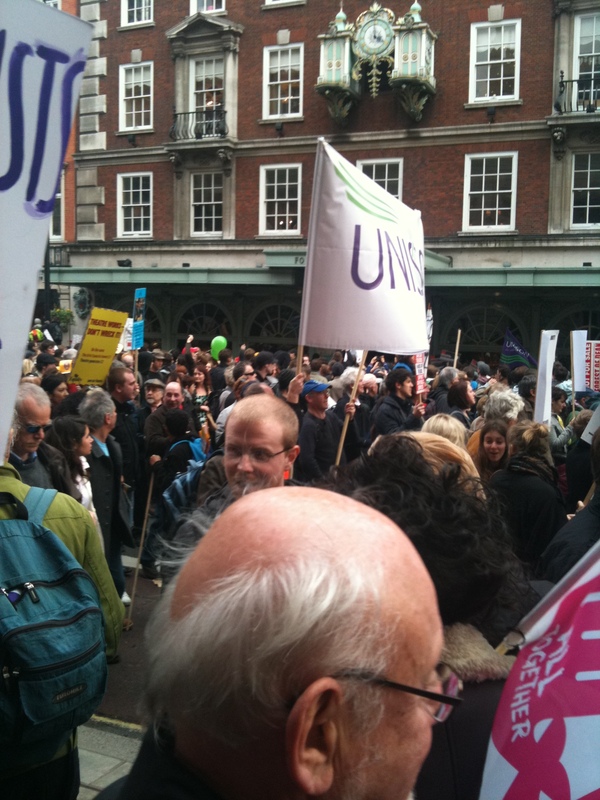 Like about half a million other people, I took part in Saturday’s March for the Alternative. My youngest daughter, ace photography student Sophie*, also came along, and she took most of the photos in this post. 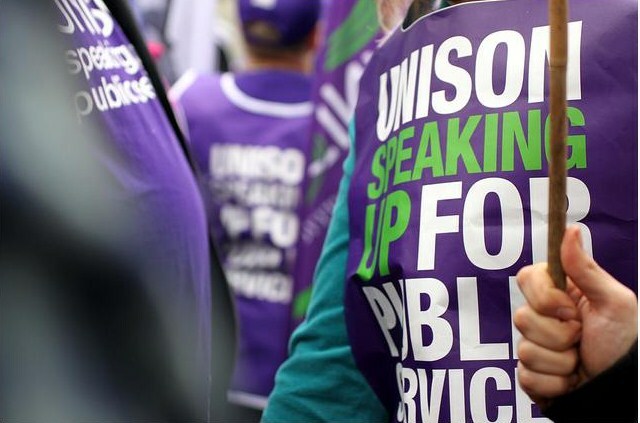 We were actually near the front of the march with the main UNISON contingent, and so we made it to Hyde Park for around 1.30pm, in time for all the speeches. We sat on the grass with some friends, ate our lunch, and listened to various speakers, until just after 3pm when we decided to have a stroll back along the march route to see how the rest of the demo was coming along. 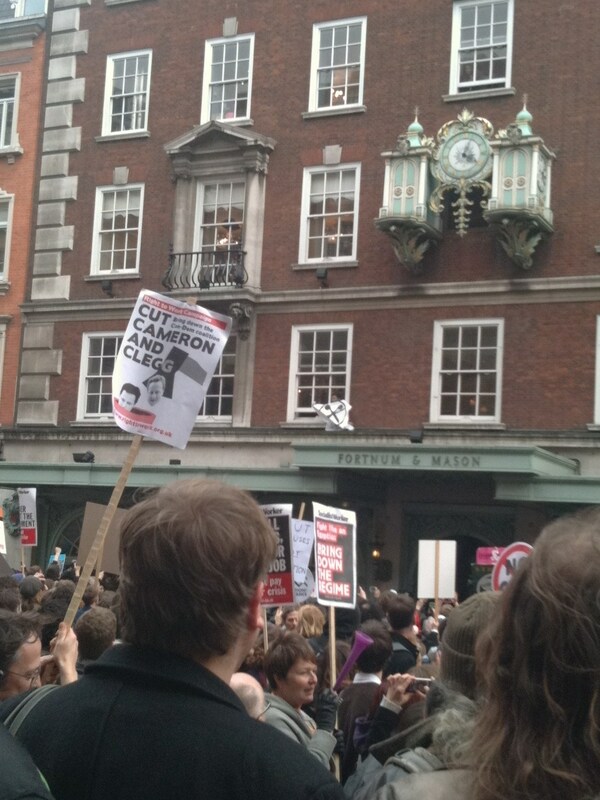 Uk Uncut flag being unfurled to much cheering from the onlookers. And we found ourselves getting caught up in the crush at the back, so at this point we decided to move on. 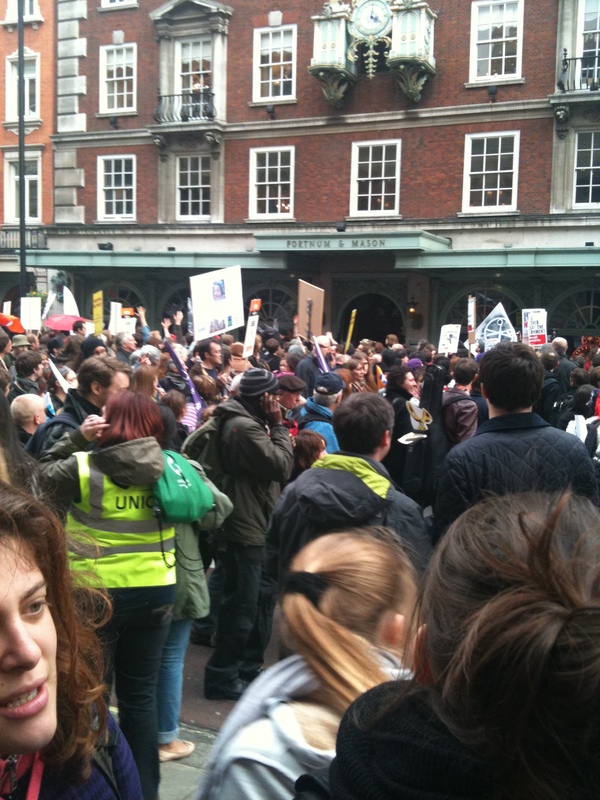 We continued walking back along the march route, amazed that after so many hours the demo was still going strong. Then we stopped off for a bite to eat, and headed to Trafalgar Square. Trafalgar square is basically a massive party. 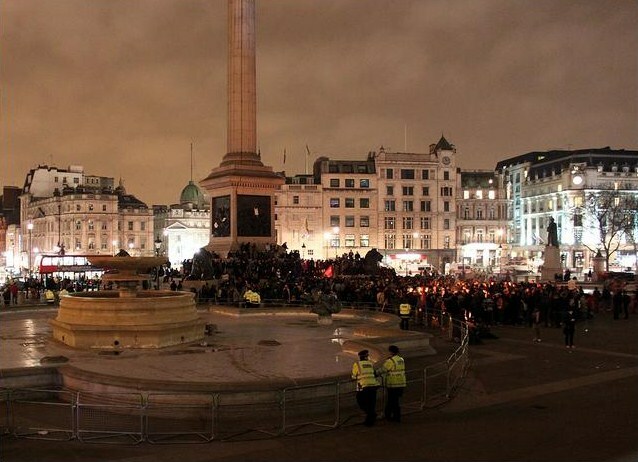 Next time there's a 24 hour Trafalgar sq takeover I'm getting involved! 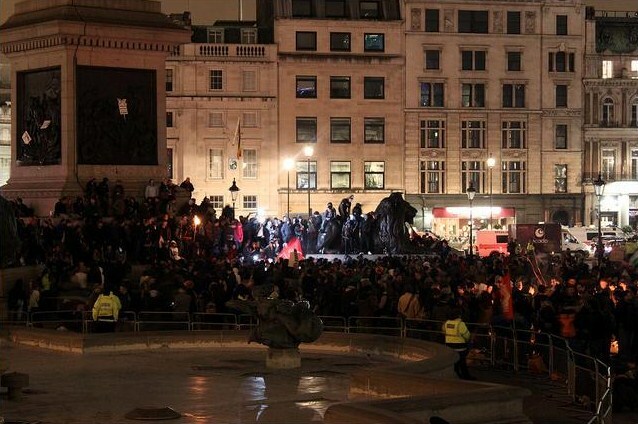 And that’s how Trafalgar Square looked when we left it, with people dancing and the police standing around looking pretty chilled about the whole thing. And yet by the time we got back to Liverpool Street about 45 minutes later and checked Twitter again, all that had changed. *For the rest of Sophie’s #March26 photos see her flickr set here. Then I went out and got drunk, obviously. I am also sick of the meeja pretending it was Panic on the streets of London. it really wasn’t. A bit of paint got thrown, a few windows got smashed. Which probably happens quite frequently I would have thought. But it really wasn’t scary AT ALL. Seems I’m the only person with anything to say about this major news story Cath. Where’s QRG? Was the riot too noisy? Well, I was not there, so cannot really comment on what went on. 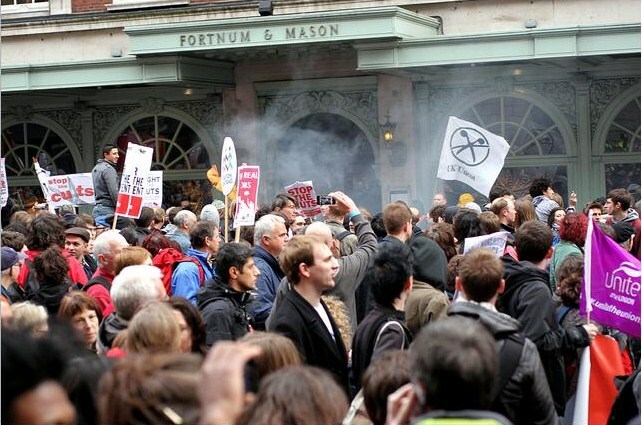 According to reports in the Guardian CIF – easy to find – the protesters were peaceful in F&M. I thought the march looked great and was sorry I couldn’t make it. Yes they were maggie, there’s a video on Liberal Conspiracy taken from inside the F&M occupation that shows it was a peaceful protest. Plus those that were arrested have only been charged with aggravated trespass, not criminal damage or anything. UK Uncut can’t be held responsible for what those outside of F&M chose to do. The BBC were reporting from inside F&M Maggie that people were looking bemused and taking photos (As anywhere in London, tourists appear and take photos of anything, I had some yank in Hyde Park wanted to photograph my t shirt). 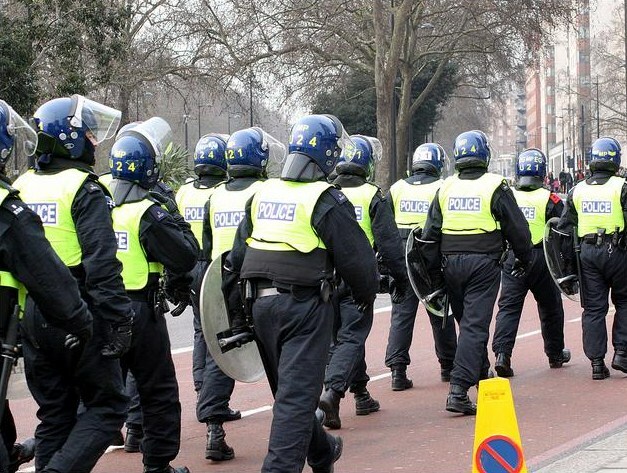 UK uncut does not = black bloc (not that I think there’s anything wrong with black bloc either, they’ve injured far less people than the police have, let’s face it). 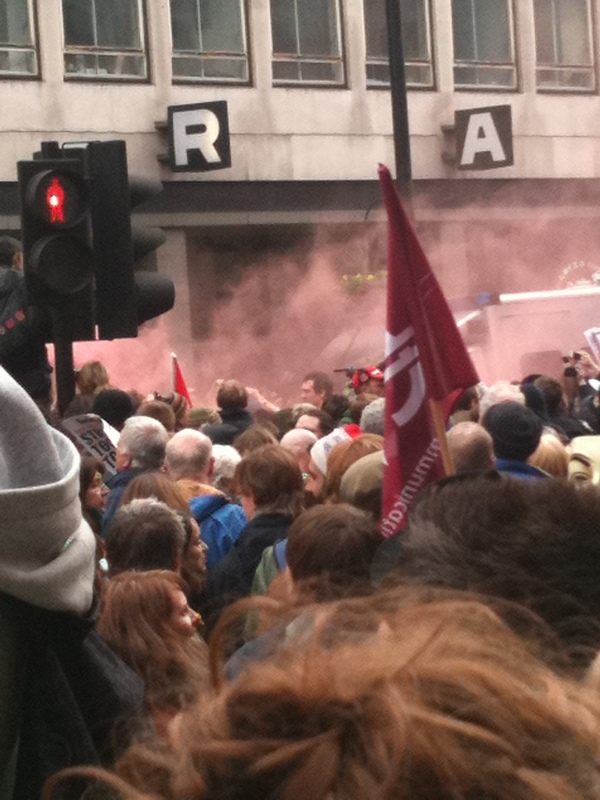 Paint thrown at banks, I’m all for it, it looked quite pretty…. The video Liberal conspiracy have is worth looking at and I’ve put it on my facebook page. 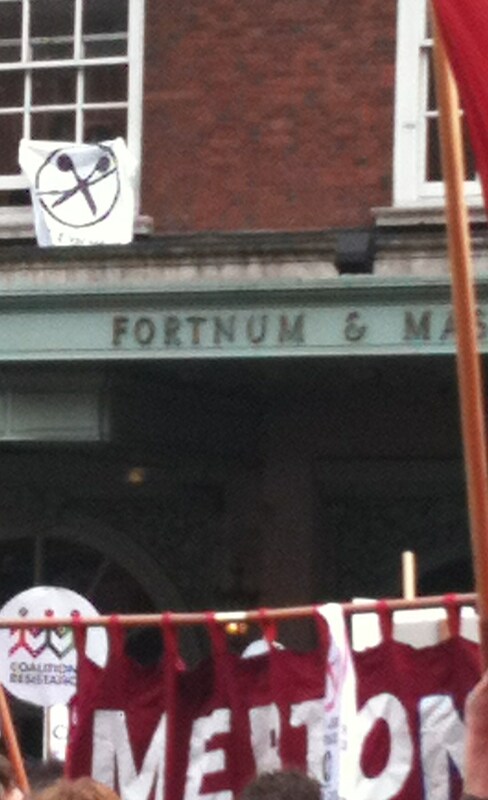 ‘Anarchists’, you have to laugh. I mean, when is the UN going to save us from these anarchists? @polly. Absolutely right. The police do more harm than good. They lied to UK Uncut people. I was convinced. I’d have believed. It’s shocking they employ these tactics and then wonder why people get angry. I couldnt’ go to the protest, but I spent the whole day glued to the telly. I’m happy UKuncut exists, I’m happy the black bloc exist. I’m all up for civil disobedience. About time people realized that “peaceful protest” equals “nothing will change”. Your March experience sounds very much like the one that my 10 year old daughter and I had. The march was excellent and lots of fun, the speeches in Hyde Park were great and then, as we walked back to Euston, we came across a bit of bother in Oxford street but not enough to upset a 10 year old! Pity the media have made it sound like a mass riot! !